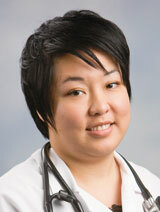 Alina Hongsakaphadana, M.D., has joined the NorthBay Center for Primary Care in Green Valley. Dr. Hongsakaphadana earned her medical degree from Michigan State University College of Human Medicine. She completed an internship and residency at the University of South Alabama, Mobile, AL, University of South Alabama Medical Center and University of South Alabama Children’s and Women’s Hospital. She is board-eligible in family medicine. In addition to English, Dr. Hongsakaphadana is fluent in Thai. 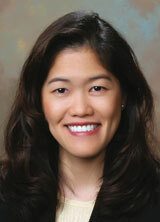 Angela Lim, D.O., has joined the NorthBay Center for Primary Care in Vacaville. She earned her doctor of osteopathic medicine degree from Michigan State University College of Osteopathic Medicine in East Lansing, Mich. She completed an internship and residency in family medicine and neuromusculoskeletal medicine at Metro Health Hospital, Grand Rapids, Mich.
She is board-eligible in family practice and neuromusculoskeletal medicine. 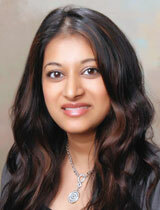 Madhavi Vemulapalli, M.D., has joined the NorthBay Center for Women’s Health in Fairfield. She earned her doctor of medicine degree from American University of the Caribbean, St. Martin, Netherlands Antilles. She completed a residency in obstetrics and gynecology at Providence Hospital, Southfield, MI. She is board-eligible in OB/GYN. 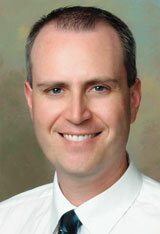 Gregory Y. Warner, D.O., a specialist in infectious diseases, joined NorthBay Healthcare this summer. Prior to starting medical school, Dr. Warner served as an epidemiology analyst for Los Angeles County’s Department of Health Services. Prior to that appointment, he was a program manager for the Epidemiology Division at UC Irvine Department of Medicine. Dr. Warner earned his medical degree from Western University of Health Sciences in Pomona, and his graduate degree from San Diego State University. He completed his residency in Internal Medicine at UC Irvine Medical Center, and a fellowship in Infectious Diseases at Los Angeles County/USC Medical Center. He is board-certified by the American Board of Internal Medicine.